Abhishek Khurana (Jatin) migrates from the USA to Bangkok at the request of his newlywed wife, Neha (Noopur). Once the couple is in Bangkok, the wife disappears. What happens then? 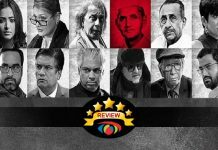 Read the review of Ye Stupid Pyar for more. 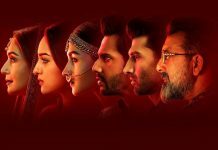 Star cast: Jatin, Neha, Akansha Shivhare, Sahil Vaid. What’s Good: Nothing at all! What’s Bad: The juvenile script; commonplace dialogues; the average performances. 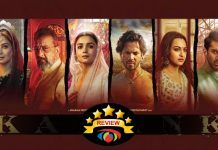 Verdict:Ye Stupid Pyar lacks entertainment and will prove to be a flop. Watch or Not? : Watch it at your own risk. JRD Films and M.L. 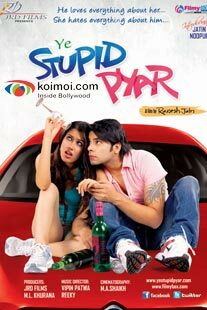 Khurana’s Ye Stupid Pyar is the story of Abhishek Khurana (Jatin) who has an excellent job in the USA. He comes to India on a short trip and falls in love with Neha (Noopur). The two soon get married. On the wedding night itself, Neha emotionally blackmails Abhishek into taking a transfer from the US to Bangkok, which he does. Once in Bangkok, Abhishek is shocked to find Neha missing when he returns from office on the first day. It turns out that she has left him because she was in love with another guy who was in Bangkok. What happens thereafter? Does Abhishek complain to Neha’s father in India or to the police in Bangkok? Does he search for Neha? Is he successful in tracing her? What is the truth about Neha’s disappearance? Rakesh Jain’s story is quite childish. Even the screenplay (credited to no one) is immature. Why Neha had to go through the marriage with Abhishek to reach Bangkok and why she couldn’t simply run away from home to be with her boyfriend is just not explained. It is not as if her father would never learn of her elopement after marriage. Since this basic question is not answered, the entire drama that follows fails to involve the audience. Also, the whole angle of Rajveer, the boyfriend of Neha in Bangkok, is predictable and too routine to be true. Effectively, the drama fails to involve the viewer because it is very juvenile. Dialogues, penned by Rakesh Jain, are commonplace. Newfind Jatin is no hero material. His looks and his performance are very ordinary. Noopur also makes a dull debut. She is average as far as her looks are concerned. Her acting passes muster. Akansha Shivhare (as Simran) acts with sincerity. Sahil Vaid is okay as Multiplex who keeps imitating well-known characters of well-known Hindi films. Sachin, Pummy, Raju and the rest provide very ordinary support. Rakesh, Neetu, Kanika, Chandrani, Dhananjay and Mohit fill the bill. Rakesh Jain’s direction is limited by the lacklustre script. Music (Vipin Patwa and Reeky) is okay although the songs haven’t been popularised. Lyrics (Dr. Sagar, Sanjay Mishra, Yusuf Ali Khan and Arafat Mahmood) are okay. Choreography, by Tejas Dattani, Reshma Khan, Sagar-Bape and Rajiv, is dull. Background music (Reeky) ought to have been better. M.A. Shaikh’s camerawork is so-so. Editing (Rajesh Khanchi) hardly deserves mention. Sets (Kay Kay) are garish. On the whole, Ye Stupid Pyar is a poor show and will meet with a matching fate at the ticket windows.